Time to put on your party hat! This week there is lots to celebrate on Folly. On Wednesday, the Folly Beach County Park reopens after being closed for almost two years after Tropical Storm Irene. The effects of heavy erosion had depleted the sand and dunes, damaged the buildings, and washed the parking area away. But this week, the park reopens to the public. Construction has built a terminal grown to help protect the beach from future erosion, showers and parking places have been completed, and landscaping planted. A sea turtle has even nested within the parks limits; the nest was later moved to more ideal nesting conditions. The Folly Beach County Parks opening ceremony will begin on the beachs park at 10 a.m. Wednesday. Continuing the excitement, Folly Beach has big plans for July 4th. The fireworks on Folly are always some of the best in the Lowcountry, and theres typically less traffic too. Come out early for dinner at the Crab House or Grill on the Edge and stay for the fireworks on the beach. Keep your toes in the sand and your eyes on the skies to celebrate Independence Day in true Folly style. 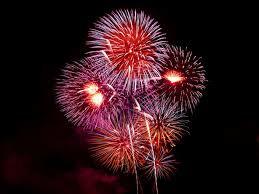 Fireworks will be launched over the beach at the end of Center Street starting at nightfall. If youre on the beach this week, remember that alcohol isnt allowed, no matter what kind of container. If youre parking on the street, make sure all four tires are off the pavement. Oh! And remember to have a great time! Happy 4th!